So, Ryan isn’t disabled. Okay, he is, but he’s only got a foot missing, that’s hardly a reason to pretend he’s paraplegic and ride around in a wheelchair! Now Liam has to deal with being lied to since the moment they met, and he is not a happy camper. He doesn’t understand why sweet, innocent Ryan would do such a thing. What if there are other things his boyfriend lied about? Or ex-boyfriend for that matter. Ryan is in a state of complete panic at the sole thought of losing Liam, his first proper boyfriend ever. But the show must go on and after the fire in his hotel, Ryan can’t only focus on his love life. He’s a serious businessman after all. Marketing, networking and promoting will be his new love life. Who needs a boyfriend anyway, when in the end, every guy is either a devotee, or freaks out about his transability? Yet… maybe if Liam stayed around the hotel, they could at least make up and become friends. There is one more option to consider – walking. If Ryan started walking, would Liam want to be with him again? But how far can he bend to Liam’s wishes before he breaks? 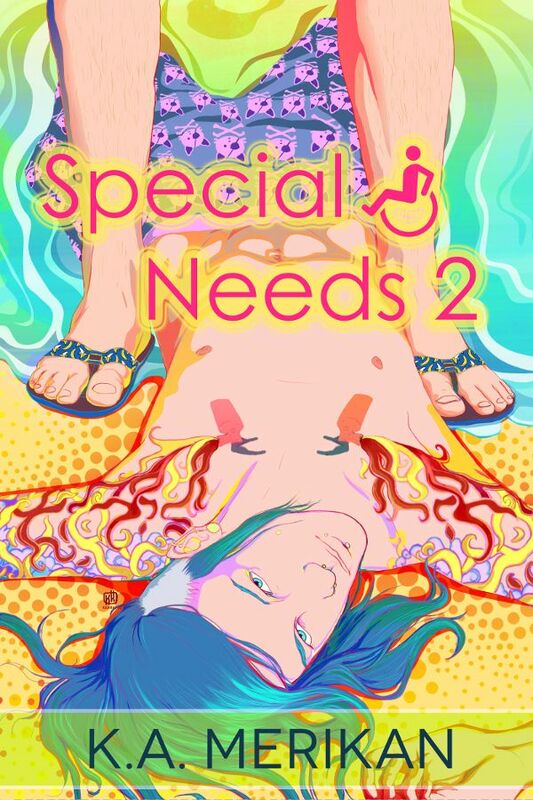 “Special Needs” is book two out of a two part series. “Maybe I am…” Ryan submerged himself in the water up to his neck and started circling Liam in return, brushing his feet over the bottom of the pool. Liam pretended not to see him, but his shoulders shook, though nobody would know for sure if it was from laughter… or terror. Ryan laughed to himself at the thought and counted to three, before taking the plunge and jumping Liam’s back. He wrapped his arms around his boyfriend’s neck and legs around his waist with a roar.